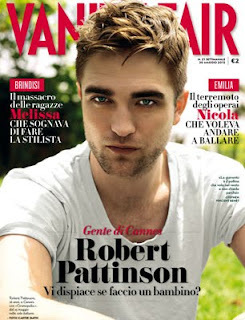 Vanity Fair Italy has a great new interview with Rob. They shared a preview that you can read below (translation via) - We'll post the rest when it's in. Entire interview below. Such a change in how he discusses Cosmopolous compared to any of his previous films. He talks about it, reverently. He is very serious when he says it changed him, and I think that is also evident in the new projects being announced recently. He is very focused. Very grown up. And choosing films that I think appeal to Rob, more than what he might think the 'public' wants. That's the sign of a true artist. To thine own self be true...and Im very excited for both his and Kristin's futures in film.